The November issue of The Absolute Sound magazine is dedicated to the best 250 products in high-end audio. 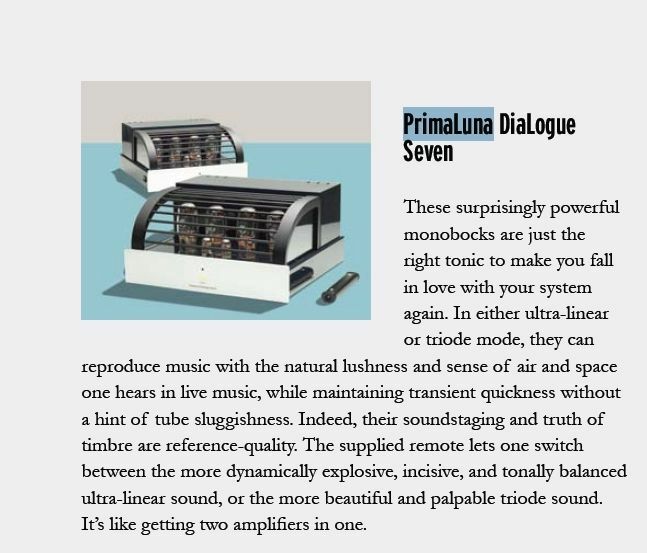 This entry was posted in Awards, DiaLogue Series, Reviews and tagged audio, electronics, hifi, music, primaluna, The Absolute Sound, tube amplifier. Bookmark the permalink.